A file is available to import demo content for testing, theme setup and demo purposes. 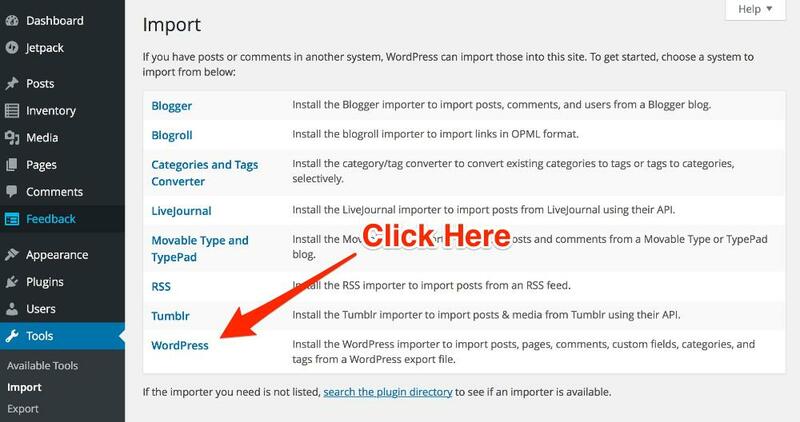 Download and import demo.xml content file for WordPress Automotive theme to have the theme setup as store demo. 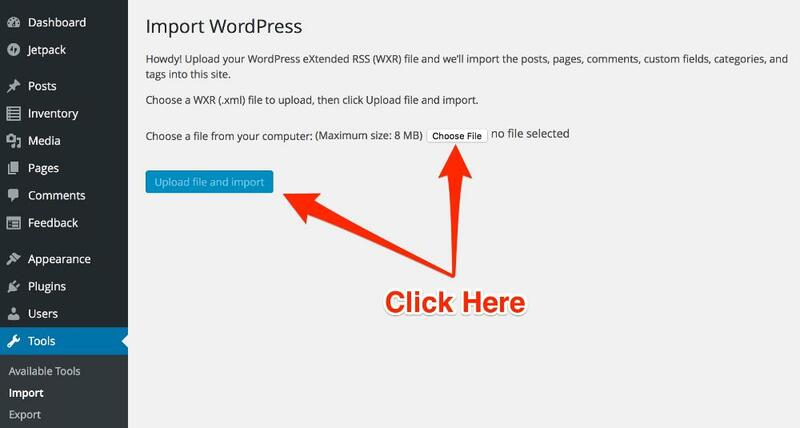 In the next screen click Choose File button and select the previously downloaded Demo.xml file from this page and click Upload file and Import to upload the demo file to your WordPress installation ready to import. 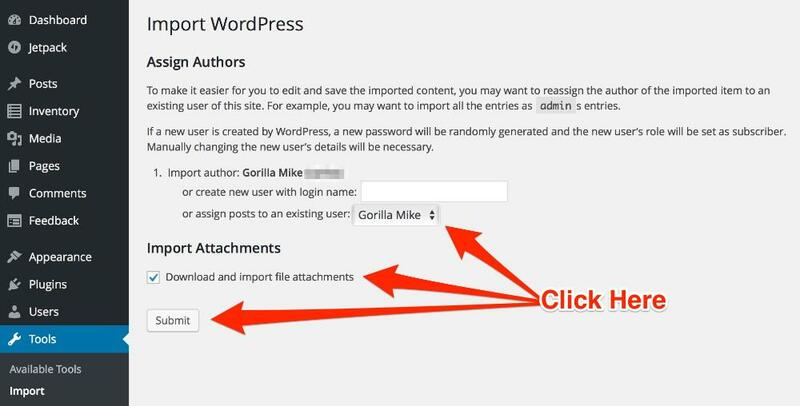 Select your author preferences and click "Download and import file attachments". All the content from the demo theme will be on your website after the import is successfully completed and you get the "All Done!" legend from WordPress. Note: On popular shared server with low resources you may get a "time out or error legend" after 10-15 seconds of importing the file, this is not an error, it means that your server is taking a lot of time to upload more than 200 demo images and the time out configuration is very short, this issue is commonly resolved by pressing F5 or refreshing the page and accepting the import again as many times as needed until you get the All Done! legend from WordPRess.